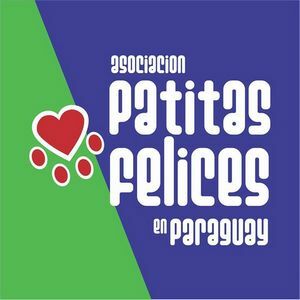 Asociación Patitas Felices Paraguay, located in Lambaré, Paraguay was founded by Mrs. Griselda Alfonso Parodi in 2010. Our mission is to protect and promote animals’ rights, care and welfare; especially of those that are under risk and abandonment conditions. We rescue animals that were abandoned in the streets or that were physically abused. We take them to the veterinary for medical treatment, vaccinations and neutering procedures. Following that, the animals are taken to our shelter where they are kept until adopted responsibly after signing a contract with the adopters, and we do the appropriate follow-up of each particular case. As a nonprofit organization, we carry out various fundraising activities in order to pay for veterinary, feeding and maintenance expenses of the shelter. Donations and contributions from kindhearted people and diverse entities are also received. Nowadays, we are campaigning for the proper implementation of animal legislation, such as Law 4840/13 of Animal Protection in Paraguay.